By Keith Horan | October 10, 2017. 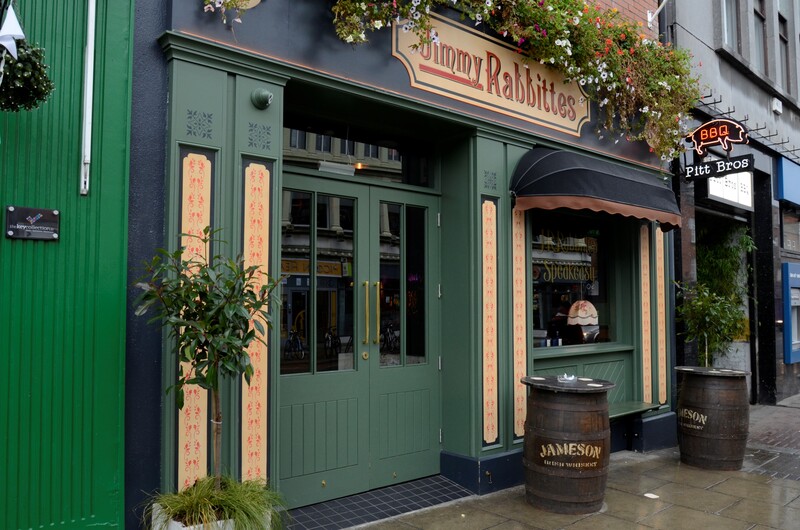 Although The Commitments is twenty six years old, Jimmy Rabbitte’s pub on Camden Street is an easy place to imagine where the crew of Roddy Doyle’s classic Dublin creation might head for a drink while formulating the next step in their plan to conquer the city’s music scene. The pub, located at 87 Camden Street on the grounds of Camden Palace, is named after the main character from The Commitments, and the link to the film has led to many fans calling in to check it out. 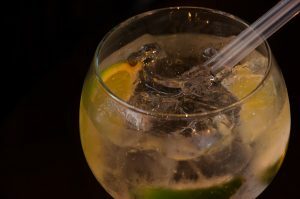 “There’s loads asking about it, said bartender Rachel Murphy. ‘Mustang Sally’ was filmed here,” she added. There is a classic speakeasy prohibition look to the place, with wooden floors and seats, a long bar and a cosy saloon style snug to the right of the front door, making it an ideal spot for a group to grab a drink in. There’s certainly a classic Dublin pub vibe to the place, with hooks running underneath the length of the bar, encouraging people to grab a stool, hang up their coat, and enjoy a drink while escaping the hustle of bustle of city centre. The décor could be described as quirky, with an assortment of polaroid photos and postcards on the wooden roof beams joining framed dog pictures on the wall. There are also framed photographs of women’s rights marchers and of Bolton Street student’s union, in a nod to the pub’s close proximity to DIT and the surrounding college area. 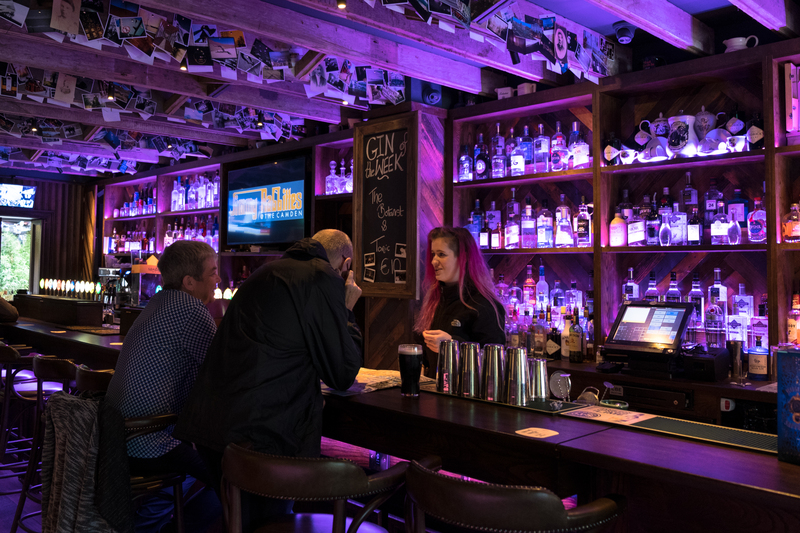 However, the bar is not completely old-school, with a few televisions dotted around, the largest of which sits prominently behind the bar. The speakers playing a style ranging from Blur to Jay-Z also ensures a more contemporary feel, as does the smoking area out back which has some great street art on display. 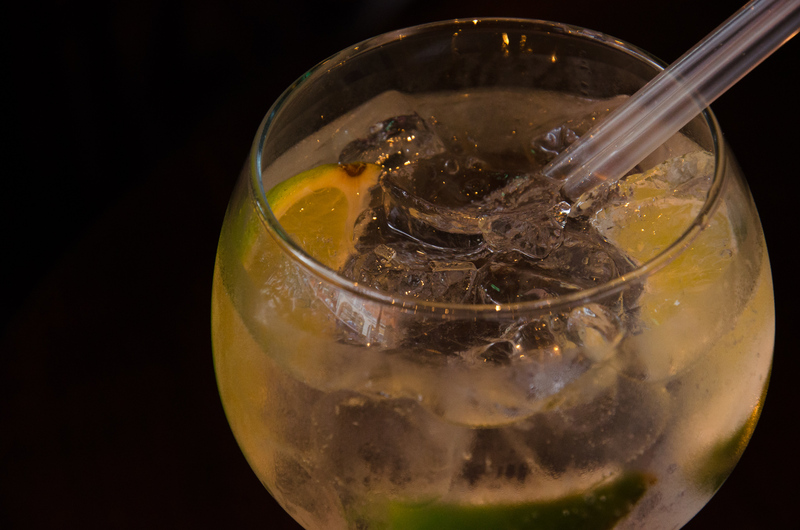 Alongside the more well-known brands of gin like Beefeater, Bombay Sapphire and Cork Dry Gin, Jimmy Rabbitte’s stocks a plethora of gins to keep the more advanced connoisseur happy. Depending on how adventurous you’re feeling you can take your pick from Blackwater Strawberry Gin, Jawbox, Gordon’s Cucumber Crisp, Edgerton London Pink and Death Door Gin, amongst many others. Jimmy Rabbitte’s cocktail menu is constantly changing thanks to the input of Shyam Gowry, the well renowned Dublin based mixologist who won the Bushmills Barman of the Year competition, who is in the process of creating a new menu. Food is not available in Jimmy Rabbitte’s, but as part of the Camden Palace complex, patrons are free to avail of the Pitt Bros stand located in the courtyard. Jimmy Rabbitte’s has a late license for Friday and Saturday nights, so pop in and grab a drink if you’re passing. And make sure to ask for a go of the polaroid camera behind the bar and take a snap to add to the collection on the roof as a record of your trip to Camden Street’s newest hot spot.